Qatar Airways (QR) commenced their scheduled New York to Doha Airbus A350-1000 service on Sunday, 28 October 2018. Several reporters, bloggers, and life-style influencers were invited to an afternoon kick-off event entitled #Firstin1000. The title relates to Qatar Airways role as the initial global operator of the -1000 version of the aircraft. The event occurred at a private terminal at New York’s JFK International Airport. Qatar Airways’ officials gave a short company briefing and welcomed the start of the aircraft’s scheduled service at JFK. 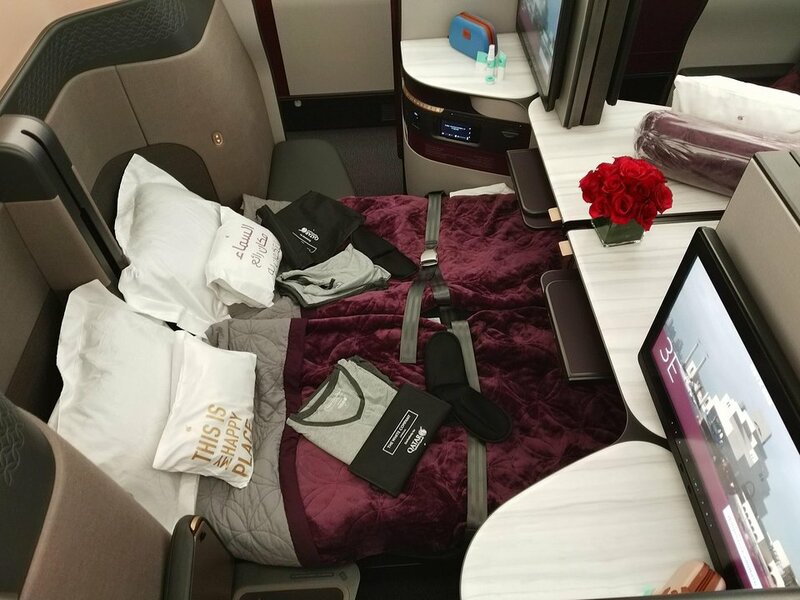 Highlights of the event included a sampling of delicious food that a Business Class passenger might experience inflight, a viewing of the aircraft arrival at Terminal 8, and a tour of the aircraft provided by several Qatar Airways flight attendants. The aircraft tour began at dusk. 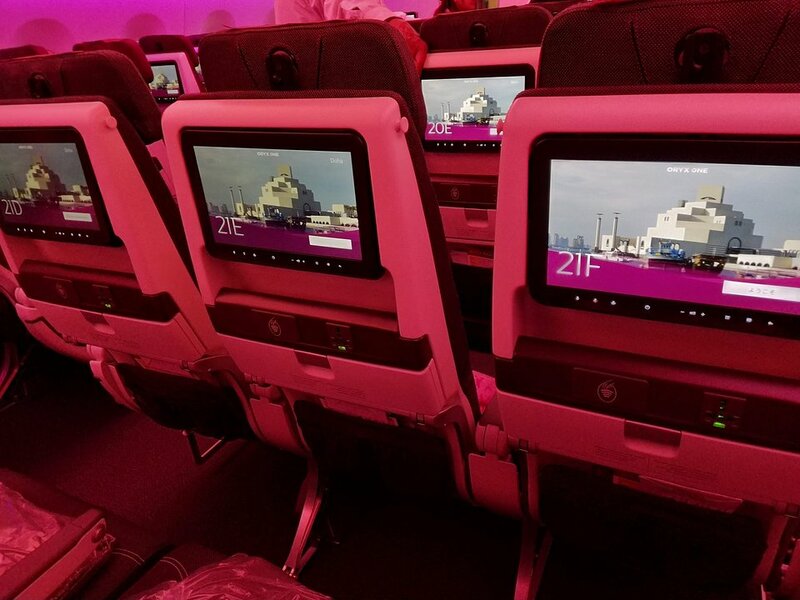 The Qsuite, Qatar’s highly noted and innovative Business Class product, was the main feature. Each Qsuite includes an adjustable seat which may be reclined to a fully lie-flat bed, a 21.5-inch moveable widescreen monitor, reading lights, power outlets, USB ports, storage, and a sliding door to provide privacy from the aisle. Some of the Qsuites are grouped in a quad/four suite configuration located in the middle of the cabin. Each quad has movable panels between the suites that open to become one large seating experience. The quad is an excellent selection for families or work associates traveling together. 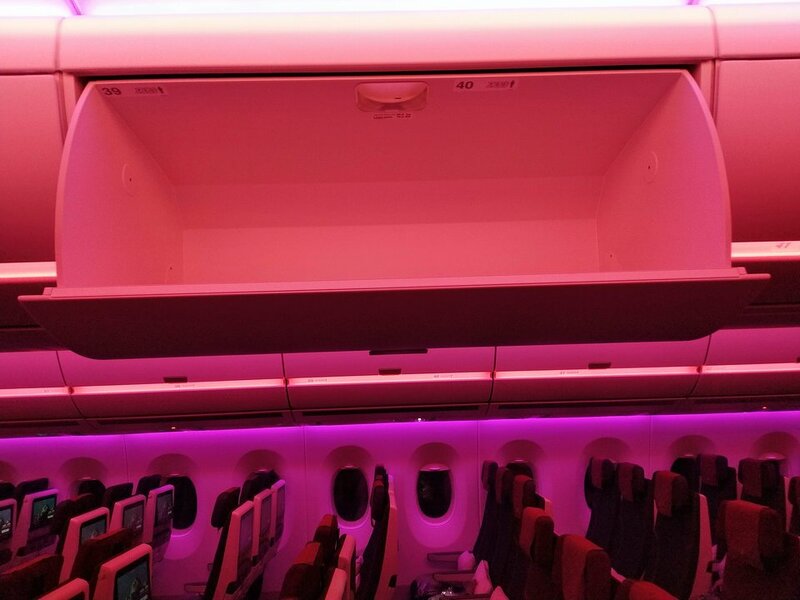 If privacy is what one desires, then the singular Qsuites that are located along the aircraft sides are the ones to select. The individual suites also offer a door that may be closed to offer a sense of privacy. 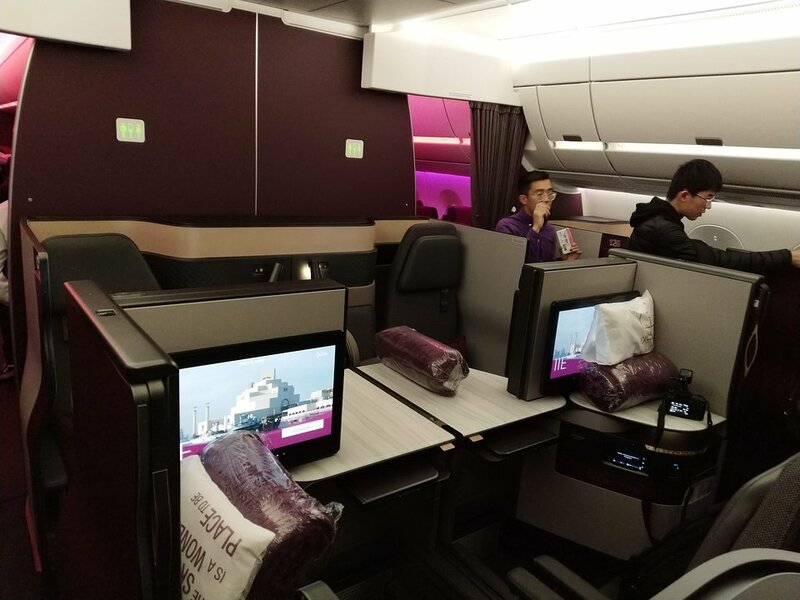 Economy class on Qatar Airways’ Airbus A350-1000 has also been given some attention. The majority of the seats are arranged in a 3-3-3 arrangement with two wide aisles. Each seat is equipped with a touch-screen monitor, an adjustable headrest, generous recline, an AC power outlet, and a USB port. The cabin was designed with curved upward walls and appropriate lighting to create an ambiance of spaciousness. 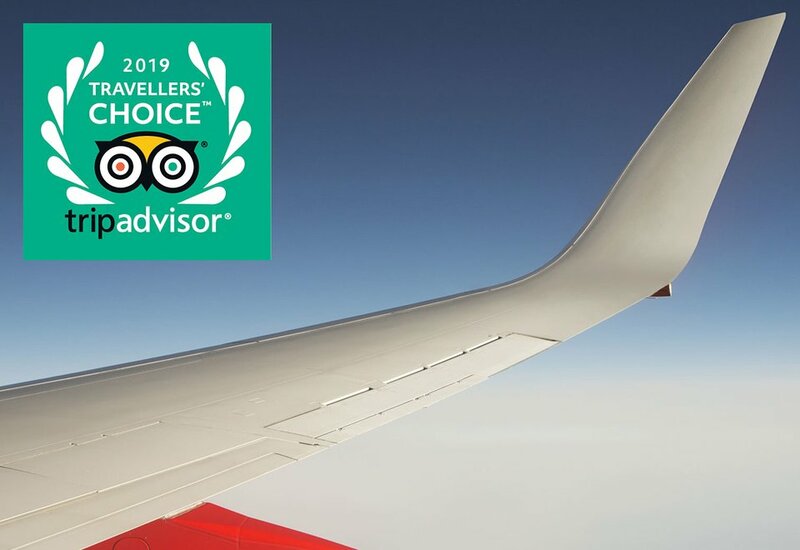 Other highlights of the aircraft tour noted large windows, ample overhead bins, mirrors in the overhead bins to provide ease of viewing contents, several spacious lavatories, and a very large, roomy galley at the rear of the aircraft. The Qatar Airways Airbus A350-1000, in my opinion, is a sleek, beautiful, well-appointed, and technologically advanced aircraft. 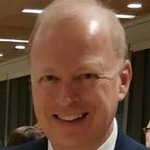 It is a delightful addition to the Qatar Airways fleet and their service from New York to their hub in Doha, Qatar, U.A.E. 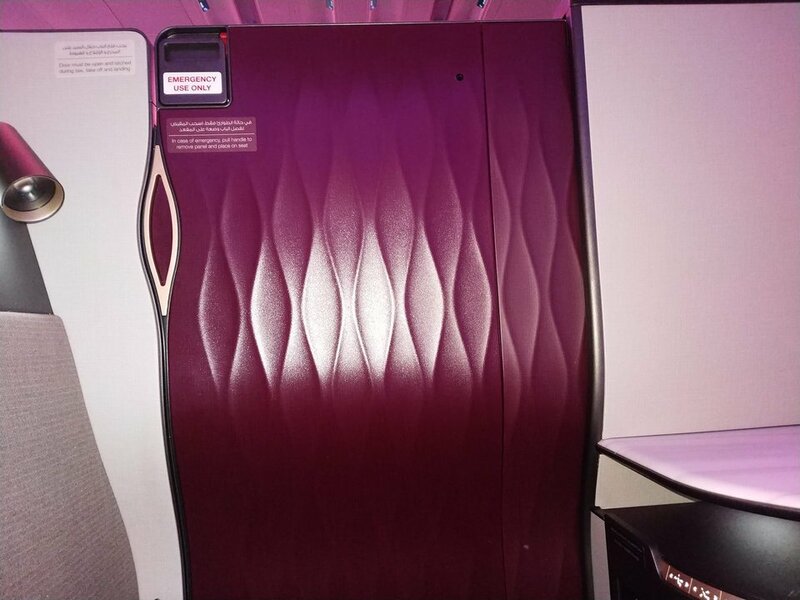 Click here to see SeatGuru.com's seat map of Qatar Airways Airbus A350-1000.